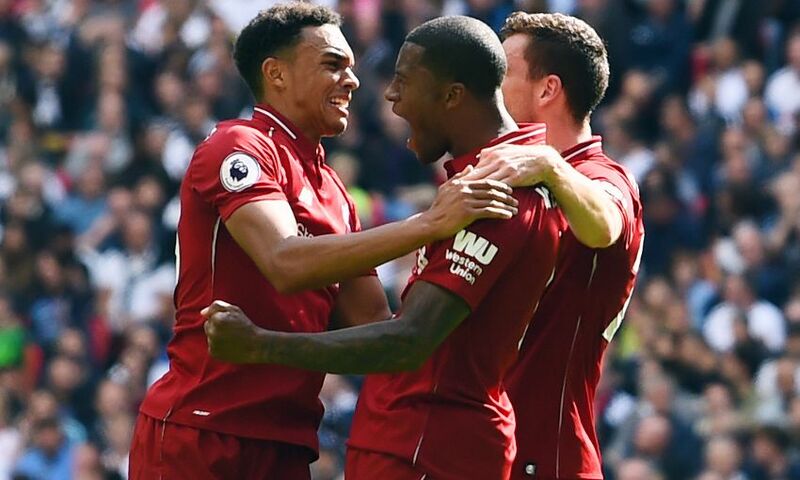 Georginio Wijnaldum insists Liverpool have no interest in 'making statements' about their Premier League credentials after recording a 2-1 victory over Tottenham Hotspur at Wembley. The Reds maintained their perfect start to 2018-19 by recording a fifth straight win over a team who are likely to be competing in the upper echelons of the table come the end of the campaign. However, while acknowledging the importance of extending their current sequence of form, Wijnaldum explained why no-one within the dressing room views it as anything other than three points. “I don’t really want to speak about statements because every game is different,” the midfielder told Liverpoolfc.com. “Now is Tottenham, other teams will come. A game is a game, it’s not really a statement. You can win today and lose another game. “We just must make sure that we will not lose these games easily and that we have to do a lot of things to win these games. We have to be concentrated, give everything, and play good football. Then we can win these games. It was Wijnaldum who set Liverpool on their way to victory in the capital as he scored his first Premier League away goal to cap another outstanding individual midfield display. The Netherlands international netted with a brilliant header after 39 minutes before Roberto Firmino added the second. “It was a good place to get my first away goal, also, against a big team, a good team,” said Wijnaldum. “Also, to keep the run going that we are in right now. We’ve won five games right now and we want to continue that run. Erik Lamela did give Tottenham late hope when he reduced the arrears deep into stoppage-time, but Liverpool held out to pick up the points. Wijnaldum reflected: “It was really close until the end, I think. “During the game we made a few mistakes. Defensively, Moura had a big chance, and at the end with the goal that we conceded. “We had a lot of big chances and we could have had more [goals] if we were good on the last pass.